If this item is ordered with a basketball system, it will be delivered together via UPS Freight by appointment only. If ordered without a basketball system, it will ship UPS Ground. 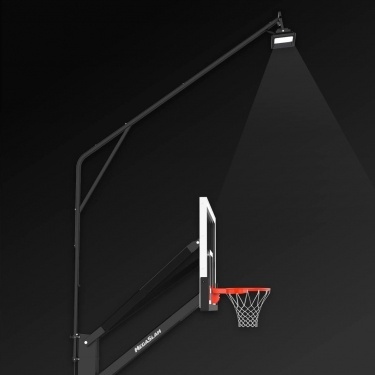 See every play clearly when you light up your court with brightness measured at over 12,000 lumens. LED lighting runs cool and uses 90% less energy than halogen bulbs. No electrician required for assembly. Only an exterior extension cord is needed. 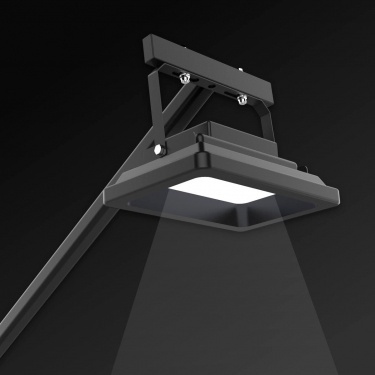 Our bright and compact single-light fixture is elevated 17.5' from the ground and puts the smallest amount of weight possible on your system, which reduces stress on the main pole and provides a more rigid playing experience. No shaking. No swaying. 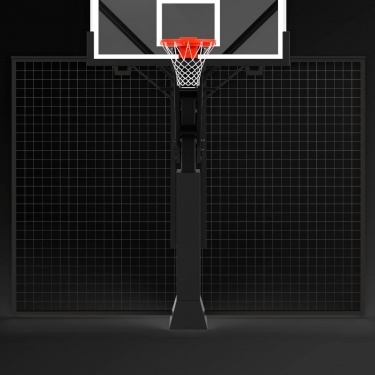 Maybe the best defender on the court, the Net Protect® spans 12ft wide and 10ft high, which is ample room to catch most missed shots and especially those of your tiny pros. 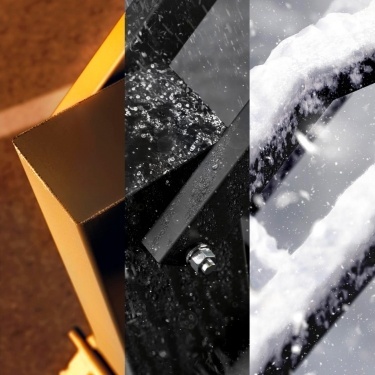 Built with tough steel frames and outdoor UV-rated nylon, the Game Light® & Net Protect® hold up through the scorching summers, rainy springs, and frozen winters. This Game Light® + Net Protect® Combo works with these systems. 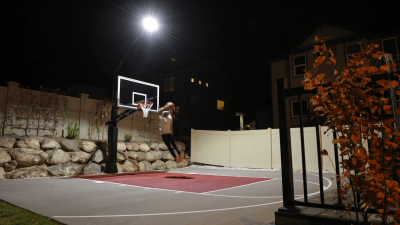 "Easy install... Super impressed how well it lights up the court." great buy when bundling the purchase. Recently installed and the children are thrilled I've even been able to watch tv again because they are back outside after dinner playing. I was concerned originally that the light would shine in the neighbors windows but the directional capabilities allow for great control. this is a must have to go with your hoop! What else is your team going to come up with? The new accessories are awesome! Same professional quality and the customer service is flawless just like when we bought the goal. The light output is AMAZING and the net does a bang up job too. We bought our Mega Slam Hoop 4 years ago and it still looks brand new, literaly. The kids the new products and we bought them both instantly. The light and net complete the court set up perfectly. We can play all night and don't have to worry about chasing balls all over the yard. We are happy.